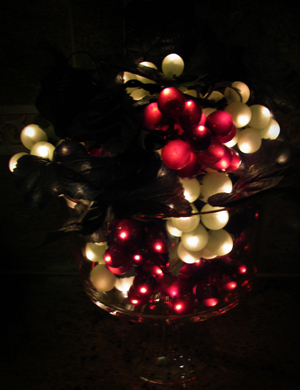 This cordless picture light is a way of adding art gallery lighting easily. It can be used to highlight artwork or display items – ideal for homes, retail shops, restaurant lighting, galleries, or any commercial setting. These are battery operated picture lights and include brackets and screws that allows them to be attached directly onto the wall or to the top or bottom of the frame. The lamp shade is on a swivel so it can be adjusted to focus the light on the desired area. The arm is also adjustable: 4 to 7 inches in length. The 8 or 16 inch wide light fixtures operated with 4/8 C batteries. The wireless picture light contains LED lights which do not produce heat, allowing them to be placed alongside fragile paintings. These LED lights will provide 10,000 hours of lighting. Available in a number of finishes to suit a range of décor/interior design styles: Pewter – Polished brass – or Antique brass. 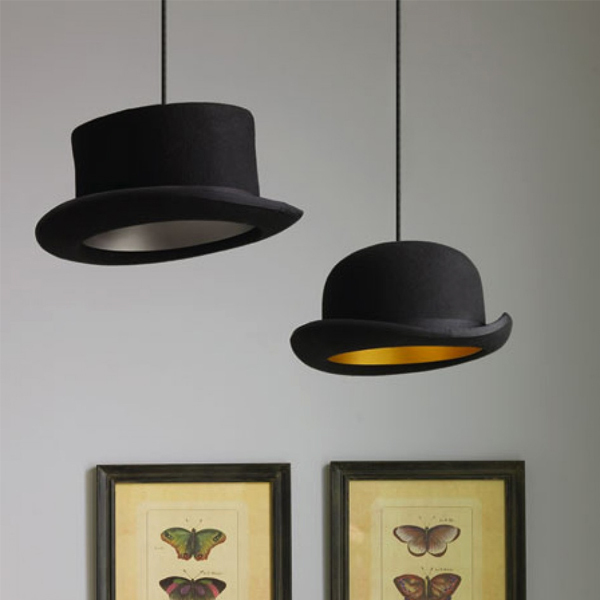 Created by London based designer Jake Phipps – the Jeeves Bowler Hat and Wooster Top Hat are classic British inspired designer pendant lighting fixtures. The lights are named after two characters in novels written by Sir Pelham Grenville Wodehouse. There are two versions. Both are made out of black wool felt and aluminum lining. 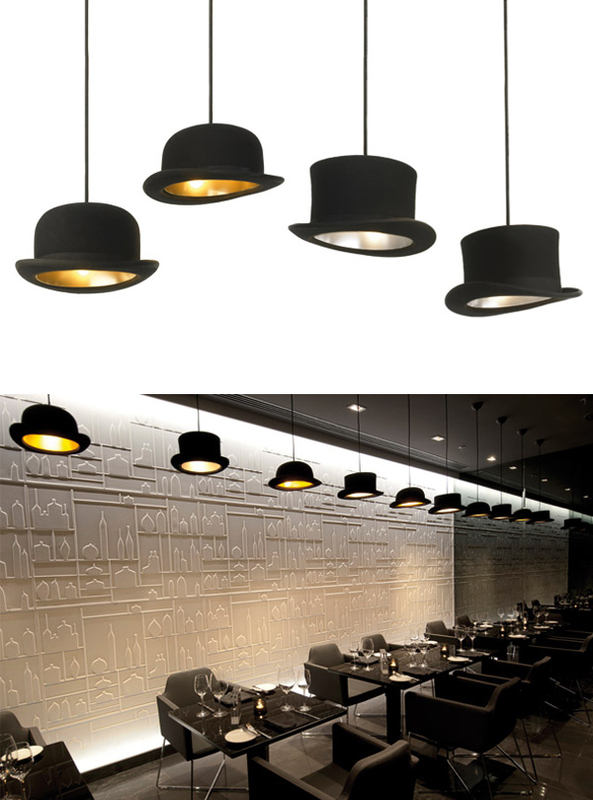 The Jeeves pendant light is a Bankers Bowler hat which has a silver lining finish. Whereas the Wooster pendant light is shaped after a top hat and has a gold lining finish. Each light is made by hand in the UK. They are 2 meters in length and are ideal for a number of commercial settings. Retail display lighting or even restaurant lighting, depending on the ambient style, are a few examples of where the Jeeves and Wooster designer pendant lights would be suited for. The prices range from 150 – 199 EUR ($200-280) and are available from a number of online retailers. Graham and Green or Singulier. Jake Phipps website. This visit was to a restaurant that also had a lounge section for people to sit comfortably in large cushioned seating with soft lighting. 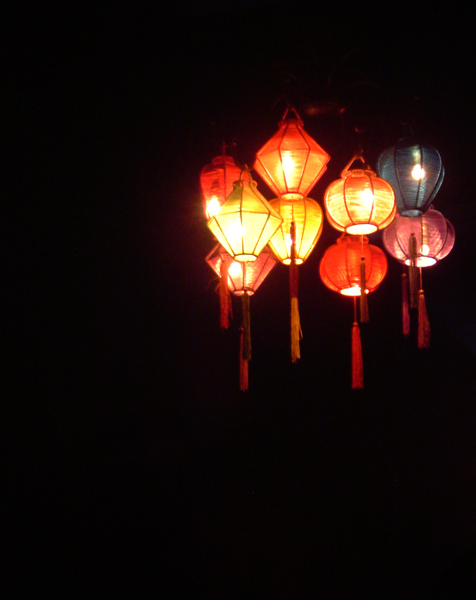 A ceiling light with 10 light fixtures has been modified and fixed to it a range of 10 different shaped and colored lanterns. This light provided soft lighting in the lounge area of the restaurant. These are images taken at a Pizza Hut. 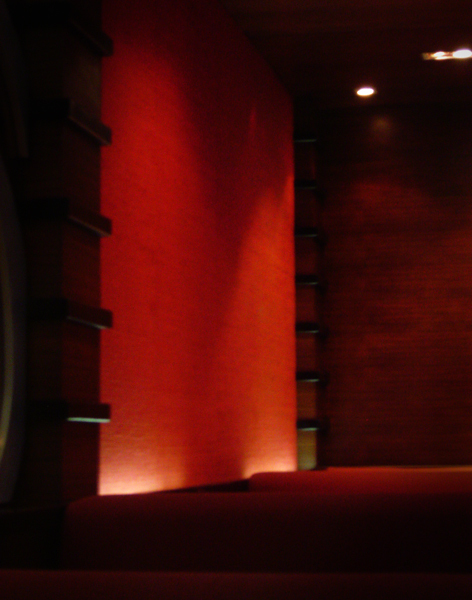 They have used accent lighting in a number of areas. Each time the accent lighting has been used for different purposes: one to highlight an art piece and the other time to provide soft lighting for the restaurant’s booths. 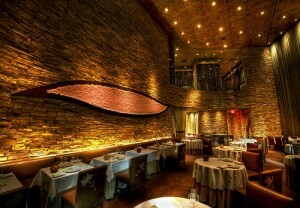 Accent Lighting: They have a number of lighting fixtures pointing towards a wall mural of fresh ingredients. 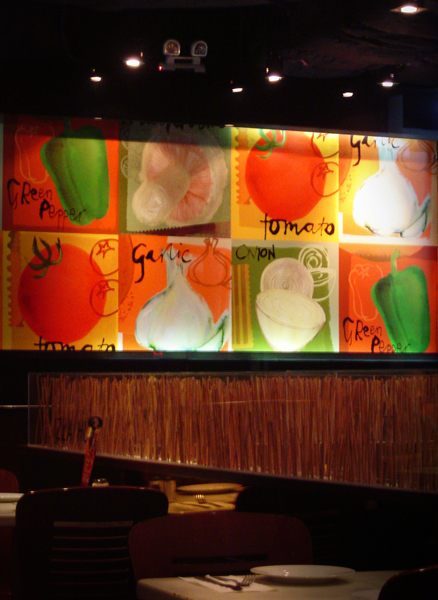 This creates a focal point within the restaurant and highlights a message of theirs. Here they have once again used accent lighting to light up a wall of fabric. This time though, the light is used to bounce off of the wall to provide soft lighting for the booth. Opening and running a restaurant is an exciting way to make a living and create a business that can be passed down from generation to generation. There are many considerations to take into account before opening a restaurant that are crucial to ensuring your success. Making sure the location is convenient and has the clientele you want to target, creating a delicious and varied menu and securing competent, professional staff are key components you must get into place before your grand opening. While menu, staff and location are all important factors in the success of an eating establishment, they are not the only factors that matter. The ambiance and environment of your restaurant will make customers feel welcomed, relaxed and comfortable so they stay and spend time and money, or it will drive them away and keep them from coming back. 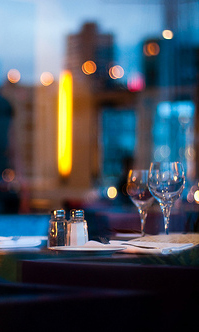 Make sure the environment you create is as inviting as possible with proper ambient and task restaurant lighting. Task lighting is used for areas where a certain task is being performed. Good restaurant lighting design will take into account the different tasks being performed in every area of your restaurant. Bright, direct overhead lighting is critical in the kitchen where chefs need to see every ingredient and visibility needs to be high. Task lighting in salad preparation areas, dishwashing areas and sanitation stations are critical components to running a smooth and sanitary kitchen and these areas can be illuminated efficiently and easily with inexpensive fluorescent lighting. Ambient lighting in a restaurant is what sets the tone and feel of the place. A brightly lit, restaurant with neon beer signs will work well for a sports restaurant while, a lighting design that uses softer tones, candle light and designer light fixtures will create the sophisticated tone needed for an upscale establishment. When it comes to ambient lighting here are some things to consider: Lighting over bar areas should be lower and more ambient than in dining areas to create a cozy, relaxed feel. 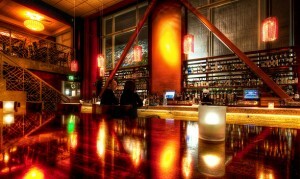 Pendant lighting and track lighting with interesting designs and touches are perfect for bar areas. Lighting in restaurant restrooms should be bright enough to allow easy make up touches or personal grooming without eyestrain or hassle, but not so bright that the return to the dining area seems dim. 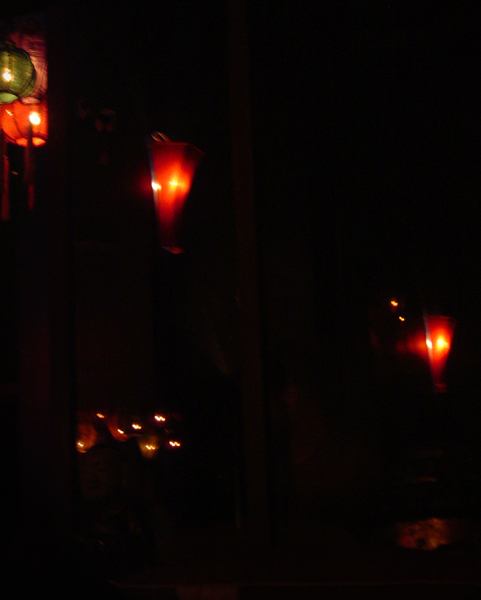 Burning scented candles in a tinted glass votive in restaurant restrooms is a great way to add ambient lighting and perfume the air at the same time. A proper balance of soft light, task lighting, ambient lighting, and even fun lighting like neon signs or special bar lights can add a comfortable and inviting to a restaurant that makes customers stay longer and spend more with every visit. 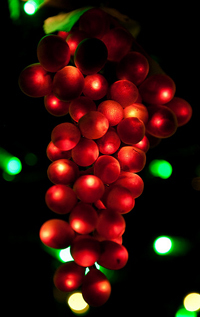 Accent lighting is used to highlight certain items or areas in a restaurant. For example if you have artwork that you are displaying on the walls, small spotlights that point up and onto the art pieces are used as accent lighting. Sculptures, flower arrangements, or special decor pieces would require accent lighting to highlight the piece in their full glory. 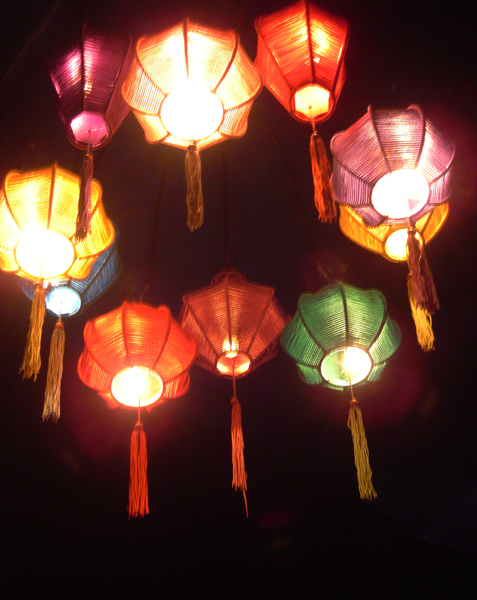 From candle lighting, to pendant and chandelier lighting, using different types of light fixtures in a restaurant creates a range of light effects – avoiding a monotone, bland ambiance. Restaurant lighting fixtures come in a variety of sizes, styles, colors and fabrications. Whether you run an Italian restaurant that calls for pole lighting and classic candle sconces on the wall or an old-fashioned soda shop that need pendant lights over the soda fountain, you can find what you are looking for in any restaurant supply catalog. Look online or contact your local restaurant supply representative to talk about the lighting options available to you. Hire a designer to help you make smart choices about lighting and placement of lights that will enhance your atmosphere and increase your chances of success. Spending a few dollars in the planning phase of your restaurant on expert advice for lighting and other design considerations can make a big difference in the overall look and feel of your restaurant and save you time, money and hassle of having to redo things. 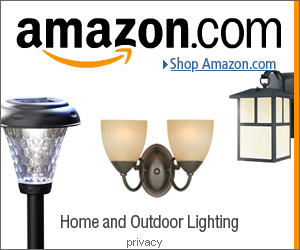 Visit your local lighting showroom as well. 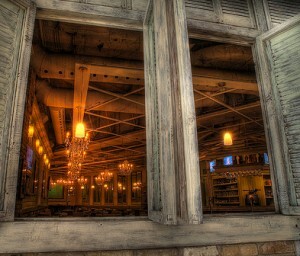 Your local lighting showroom will have numerous ideas and inspiration for your restaurant lighting plans. Consult with the local experts to see what they recommend and how they can help you create the look and feel you want in your space. Restaurants provide the backdrop for so many family and individual celebrations they are a common destination for get together and events. Make sure your restaurant is top of mind when people are planning or hosting a celebration dinner or party by creating a warm and inviting space with the restaurant lighting design you chose. 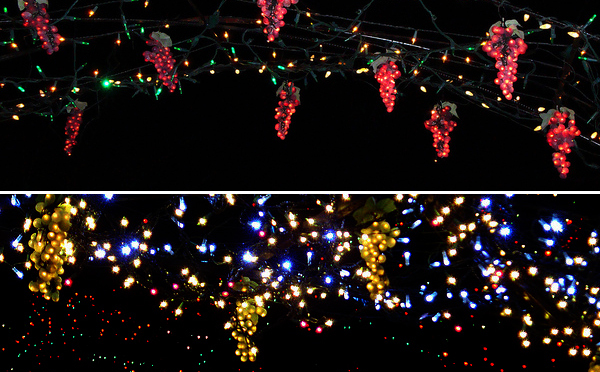 Make sure spaces are well lit but not glaringly bright, the parking lot has lighting after dark, bathrooms have lights over mirrors and stalls and are well lit and the kitchen should be bright, cheery and illuminated so customers see the sparkling gleam the kitchen crew works hard to maintain. Creating a delicious menu, hiring professional staff, securing a prime location and incorporating restaurant lighting ideas that keep customers and their comfort in mind can help make sure your restaurant succeeds and gives you the financial security to live the lifestyle you want and deserve. Restaurant lighting ideas that work incorporate all aspects of the dining experience, from the moment the customer walks in the door to the moment they leave, from lighting in entrance ways and parking lots, enhances the customers comfort and safety. Making sure your lighting is ample, soft, and bright enough to read and eat comfortably. Consult with a restaurant design professional to create a restaurant lighting design that works for you.